With this new supplement for Frostgrave, players can lead their warbands into the vast network of catacombs, sewers, and dungeons that run underneath the Frozen City. It was in these dark confines that the ancient wizards known as Beastcrafters experimented on living creatures, creating strange hybrids and deadly monsters, many of which still roam the forgotten passageways. Along with a host of new scenarios, treasures, soldiers, and creatures, the book also contains rules for the traps and secret passages that are often found in the dungeons. 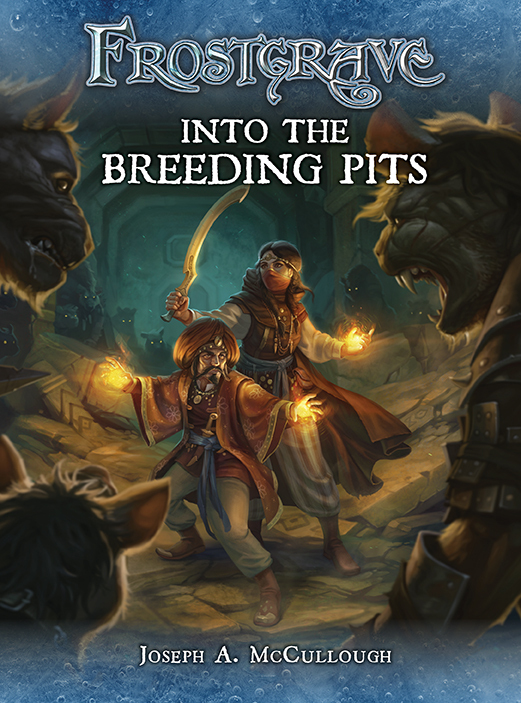 With the wonderful and rare magical treasures to be discovered, will players risk taking their warbands down into the Breeding Pits?